A troubled teen tries to pray the gay away in this fact-based look at gay conversion therapy – a controversial off-shoot of evangelical Christianity that is commonplace across the US despite leaving those who undergo it severely screwed up. It’s pretty commonplace in the movies, too, as anyone who saw The Miseducation of Cameron Post can attest. But where that film adopted a satirical tone, Boy Erased is achingly, even excessively sincere, not least in its determination not to demonise its protagonist’s well-meaning but deluded parents. 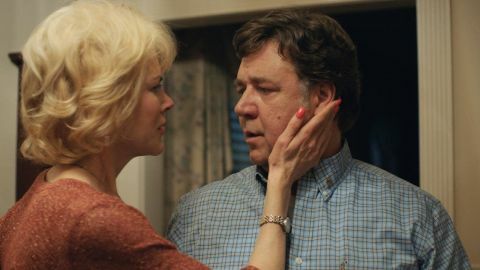 In his second feature as director (after The Gift), Joel Edgerton casts Nicole Kidman and Russell Crowe in these roles and is rewarded with performances of emotional (and, in Crowe’s case, physical) weight. Edgerton ups the Aussie quotient by casting himself as the ingratiating head of Love in Action, the retreat their son is packed off to after he is outed by a classmate. Ultimately, though, the film’s real burden rests on the shoulders of Lucas Hedges, a challenge the Manchester by the Sea star rises to with sensitivity and aplomb (one tough scene in particular is rightly harrowing without ever seeming exploitative). Based on a memoir by Garrard Conley, Boy Erased allows scenes in which Hedges, as Jared, is hectored, browbeaten and intimidated to speak for themselves. At one point he is even given tutelage in the ‘straight’ way to stand by a menacing ex-jailbird, played by Flea of Red Hot Chili Peppers fame. But showing isn’t the same as condemning, leaving Edgerton’s film in a curiously distancing halfway-house between righteous indignation and dispassionate reportage, leaving us unsure as to what it’s actually trying to tell us. Even-handedness is commendable, but here it feels like timidity.